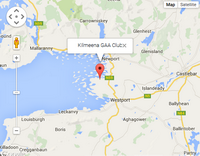 Registration of Players for the Kilmeena GAA Club closes on the 31st of March 2017. 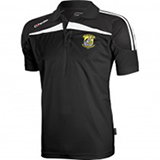 It is necessary for insurance purposes that anyone who wishes to train, or play with Kilmeena GAA club during the current year are registered. There are several membership packages available, and whilst the costs of the various packages are included on the application form, it must be pointed out that the inclusion of girls, who wish to play ladies football will incur additional costs. There will be no extension of this deadline i.e. 31st March, as the Club cannot allow persons onto the premises, or use facilities whilst no insurance cover is in place. It must also be pointed out, that team managers, mentors, or persons assisting with teams in any capacity must have their membership in order before the above deadline.